NASCAR Camping World Truck Series driver Wendell Chavous is retiring from NASCAR competition after Saturday’s race at Talladega (Ala.) Superspeedway, the driver announced via social media Monday. 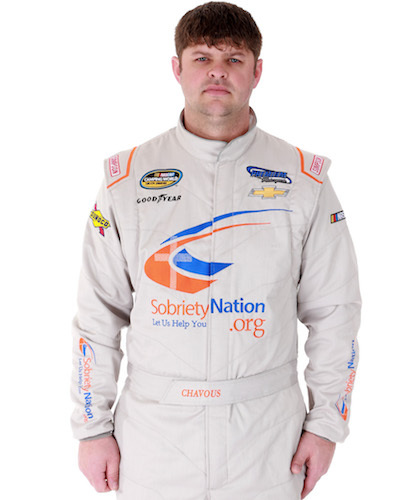 Chavous has made 49 starts in the Truck Series since 2014. 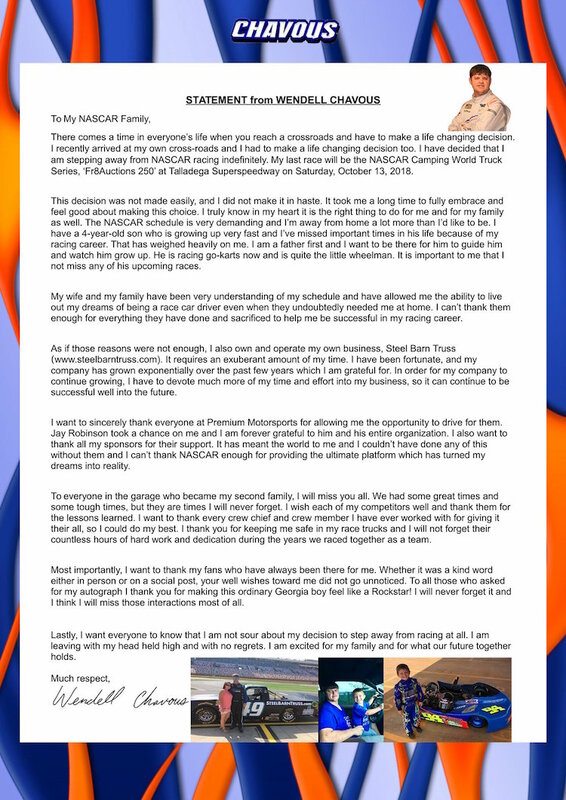 After competing in three races in 2014, he has driven for Premium Motorsports since 2015. He ran 21 of the 23 races last season and was running full-time in 2018. His career-best finishes were two 12th-place finishes this year at Daytona (Fla.) International Speedway and Texas Motor Speedway near Fort Worth.